You can have this one dish meal ready in 20 minutes! 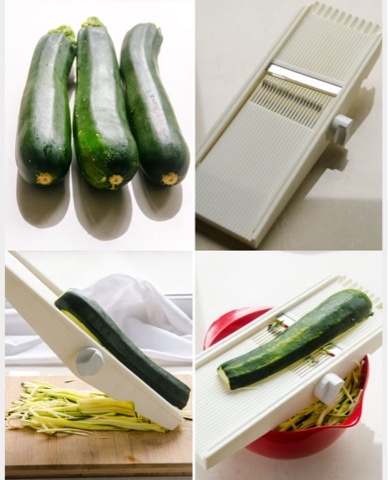 -Using a spiralizer (see pic below) spiral 3 Zucchini and set aside. -In a large pan, spray cooking spray and sautéed Chicken until golden brown. Remove from pan. -Add zucchini noodles, cumin, jalapeños and pepper and sauté in pan for 1 and 1/2 minutes (I like my zucchini still a little crisp). -Remove from heat and add Chicken and Cilantro. Squeeze the juice of 1 lime on top. -Toss gently and serve hot! Will keep in air tight container for 48 hours. 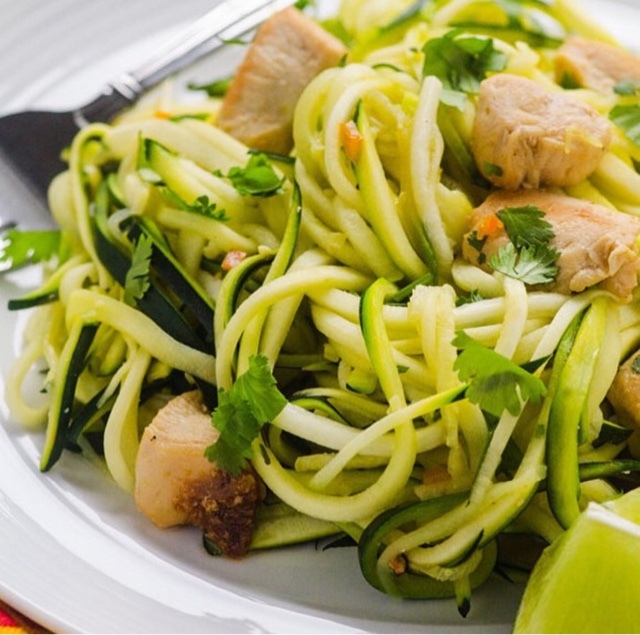 Spiralized zucchini taste great raw or cooked! A very nice recipe indeed. Great place to order if you don't have time to get out and get one!